With the release of WooCommerce 2.0 becoming more imminent (well, maybe not quite imminent yet, but certainly drawing nearer), those of us with WooCommerce plugins need to start work on getting them ready for the big release. WooCommerce has never been one to hold back on making plugin-busting implementation changes with a new release, and they’re setting the bar quite high with 2.0. It’s chalk full of code changes and improvements plugin developers must be aware of and potential handle, and I’ve personally spent many hours already preparing my various WooCommerce-listed plugins for WC 2.0, with yet more work ahead of me I’m sure. I figure with all the time I’ve already spent researching this stuff, there’s no need for you to have to do the same, and so I’m putting together this guide on migrating existing plugins to WooCommerce 2.0, which I plan to continue to update as I find new issues/fixes, and I hope you dear reader will do the same in the comment section below! The intended audience for the guide would most likely be developers with custom plugins for clients which they want to get updated ahead of time, or at least be ready to update once 2.0 is released. I’d imagine other developers in the WooCommerce developers program will be aware of most of this already. The majority of the fixes and approaches I describe in this article are from actual code snippets that I’ve used to update my own WooCommerce-listed plugins, and hence they are written to be both backwards-compatible with the current WooCommerce 1.6.6, and compatible with the upcoming WooCommerce 2.0. It also means that they cover only those issues I’ve encountered with my own plugins, and thus couldn’t hope to cover all potential issues. If you’re responsible for a custom plugin for a client or small number of clients and have more control over the environment in which they run, you can certainly simplify your plugin by targeting it solely for 2.0; though for the most part it’s not a whole lot more effort to be backwards compatible as well. As always, I make no claims or guarantees about the correctness or efficacy of the code shown below, and if you use it you do so at your own risk. I won’t be held responsible if something blows up! WooCommerce 2.0 is also still very much a work in progress and a moving target, but I believe the fixes I’ve already come up with should hold as they come to a final release candidate. Also see the WooCommerce article WooCommerce 1.6.6 -> 2.0 – Plugin and theme compatibility, which identifies some of the same issues/approaches I outline below, as well as some things I didn’t cover, especially with regards to themes. The first and most likely spot of trouble is with the product class. Perhaps not as snazzy as $product->my_field, but if you want/need that 1.6 compatibility, that’s the tradeoff. There are a slew of other product changes of course, but nothing that’s given me problems in the plugins I’ve tested thus far. * backwards compatible with previous versions. Hopefully you’ll agree these are simple enough that they don’t require a lengthy explanation or usage example. There’s other new functions to delete items and meta, and update, etc. Also if you need to write custom queries against order items or item meta this will be much more efficient/possible now. The implementations of my_plugin_order_item_meta() and my_plugin_add_order_item_meta() will probably be largely similar, you’ll just want to use the new woocommerce_add_order_item_meta() function mentioned above in the WC 2.0 version. The deprecated order_item_meta class is now removed, so if you’re still using that class in your code, make sure to replace it with WC_Order_Item_Meta otherwise you’ll get a fatal error. Don’t know how many of you out there will have payment gateways you’ll be needing to update, but just in case, there have been a few changes to be aware of. Payment gateways in WC 2.0 have gotten a treatment similar to what Shipping Methods received in WooCommerce 1.5.7. The big change is that rather than being instantiated on every request, they are now loaded only when needed. This one change is supposedly responsible for quite a saving of resources and server performance. Which is all well and good, unless of course your payment gateway actually needs to take some actions anywhere other than the admin settings page, checkout/pay pages, and API call. The solution I’ve used and developed alongside fellow WC developer Max Rice is to create a lightweight “main” class which is always instantiated and which manages and registers the payment gateway class responsible for communicating with the gateway, and registers any actions or filters where the payment gateway class might be needed. Without this your gateway will not not be created and will not be called to handle that API request. Of course you can use the same “main” class pattern described above to register any arbitrary API request handler you may require, and indeed I have to do this with two of my own gateways. And then there’s all the little odds and ends we’ve run in to. Although not strictly related to WooCommerce 2.0 it’s recommended and a good practice to use the new WordPress 3.5 media browser. Well, that about does it. As I said in the intro, any more refinements I come up with I’ll do my best to update/add here, and if you find anything feel free to mention it in the comments. 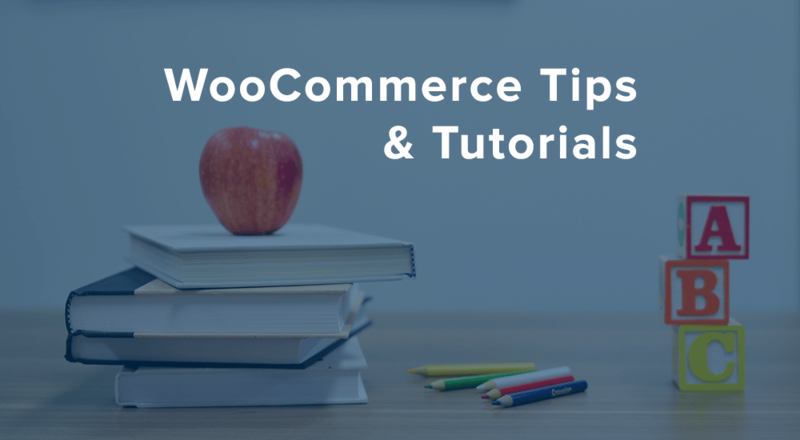 Hopefully WooCommerce 2.0 will be released before all too long and this guide will be one for the ages. Excellent post. Thank you very, very much. Bookmarking this and I’m sure I’ll be referencing quite a bit the next couple of weeks! Wow, those are some big changes coming. Thanks for sharing your research. I really, really hope I don’t have too much to update yet. 😉 I have been developing a custom extension for a client and that’s been explicitly on 2.0beta because it required items that weren’t available yet, so that shouldn’t need any updates, but I should double check the official /for-sale one. Great post – really useful! Hey Lee, thanks for stopping by and for the feedback. That’s a good point, and I hadn’t tried retrieving serialized data like that. I’ve added a maybe_unserialize() call to the example function; but perhaps we should try getting that included within the magic __get() in WooCommerce core, that might be a good addition. Great post Justin! Thanks for all the ‘meat’ and helpful code examples. You got it Daniel, hope it helps! If you come across any issues or improvements to what I did, let me know and I’ll incorporate into the article. 1) WC_Order get_items() returns items differently. In 1.6 the first item was index 0, now the first item is indexed by some other number (item_id from database table). If iterating this is probably not an issue, but anything that assumed first item in order was 0, second was 1, etc will break. 3) Taxes have changed. You mentioned ‘order_item_type’ => ‘line_item’ for how line items are stored. There is also an order_item_type of tax. This is a change from how 1.6 stored tax info on orders (there used to be an _order_taxes meta field). 4) One pain was that the WC_Order class renamed the product id of the order items from ‘id’ to ‘product_id’. You’ll need a compatibility function. I haven’t had a chance to go through these points in detail for myself and update the relevant portions of the guide, but it looks like really valuable feedback so I wanted to approve this comment right away in case it helps anyone out. Thanks Ken! I am still not sure, how much time it will take me this. but i am going to start with a dev site. can you please tell me, Where do I insert the session code? Does anyone have any documentation as to how-to create and validate activation keys with the new extension system in place on woo commerce? Hey Tim, if you’re referring to the WooCommerce license keys that are required to receive updates and support from WooCommerce, all you need to do is log into your WooCommerce account on http://www.woocommerce.com and click the tab “My Licenses” to view your purchased keys. They have a good writeup there explaining how to enter the keys on your WordPress site which can be found at: https://www.woocommerce.com/my-account/my-licenses/#faq Hope this helps! Hi. Can anyone help me (please)? I have a custom plugin, a payment gateway, which will not load in WC 2.0. It was built for 1.6.6. I have spent days trying to understand Section 4 above. I understand that there are two changes regarding payment gateways from the old version to the new. I was able to make the simple change having to do with the Save hook (which enabled me to actually get the plugin installed), but the dynamic load thing has got me stumped. I would post the code, but it’s rather long (can I do that here?). I’m new to Woocommerce and i’m having a hard time doing complex operations due to the lack of documentation. Your get_product function have been incredibly useful to me. Thanks for the great overview. Might be a bit off-topic, but as you guys here seem to lead the way I’ll still shoot it out. Has anyone here tried implementing API calls based products population with Woocommerce? And I don’t mean just making a call, pulling in the products data and updating the database. I’m thinking about different prices for different customers where info is to be pulled from remote system. Hey Henri, it’s a pretty interesting question, and it can be done, indeed I’ve seen this sort of thing with shops that sell jewelry or precious metal where the product price depends on the current market spot price. Conceptually it’s fairly simple, though the implementation can be complex. WooCommerce provides a filter named 'woocommerce_get_price' that can be used to modify the price of any product “on the fly”. So the question would be whether you wanted to dynamically grab the prices “as needed” through that filter, or have some other process that runs say once a day and modifies the product price in the database (given by the WordPress post meta named _price). Both approaches will have their own benefits and drawbacks, and if you were to go with the “dynamic” approach I’d recommend at least caching the price data (say in a transient so you’re not hitting that external system 15 times for each page load).